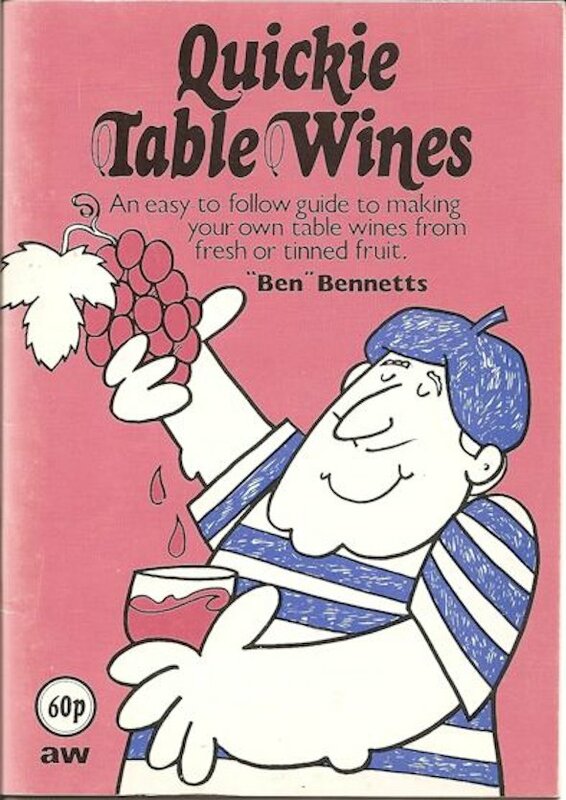 In 1977, I published a small 16-page booklet titled Quickie Table Wines. It was a simple “do this, do that” set of instructions designed to produce palatable home-made fruit-based table wines within 4 to 5 weeks. The technique had been well researched and proven by experiment and the booklet went on to become a UK best seller, selling just under 12,000 copies before publication ceased sometime around the mid-‘80s. Friends and family still talk about the booklet and their wine-making experiences and I have decided to re-publish as an e-book. The ingredient and equipment prices in the booklet are 1977 prices but the technique is ageless. Download a free MOBI (Kindle), EPUB (iPad) or PDF file from Smashwords and enjoy.